I liked the way the electricity were pylons poking out of the mist in this picture.. This entry was posted on May 28, 2013 by Chillbrook. It was filed under Photography and Travel and was tagged with Cornwall, Cornwall Photographic, England, English Countryside, Landscape, Landscape Photographer, Landscape Photography, Nikkor 24-70mm f2.8G ED, Nikon D800, photographs of Cornwall. Beautiful . . . but are you sure they are power line towers? To me, they look like Ents . . . I hear they move around in the fog. Gorgeous, Chillbrook. This is really an exceptional scenic picture. Thank you very much Shimon. I’d like to photo dawn breaking, Adrian, but I find it very difficult getting out of bed! You certainly get a sense of scale with this one ChillB. Apart from the foreground and a hint of a path there , I love the way the trees and hedge line are appearing out of the mist on the righthand side . Great to see you are still getting up and out early to bring us these stunners Adrian! Quite other-worldly. I would definitely go with the ents. It definitely got an electric vibe :) Nice shot! I love the misty trees bordering the fields on the right and the morning sky… beautiful! The power lines do look effective – another point of interest in such a rich image. Beautiful! Adrian, this is impressive; the details of colour and texture in the foreground are so good, and then the mists and clouds! Wow, outstanding! Thank you Karen. I really appreciate that. 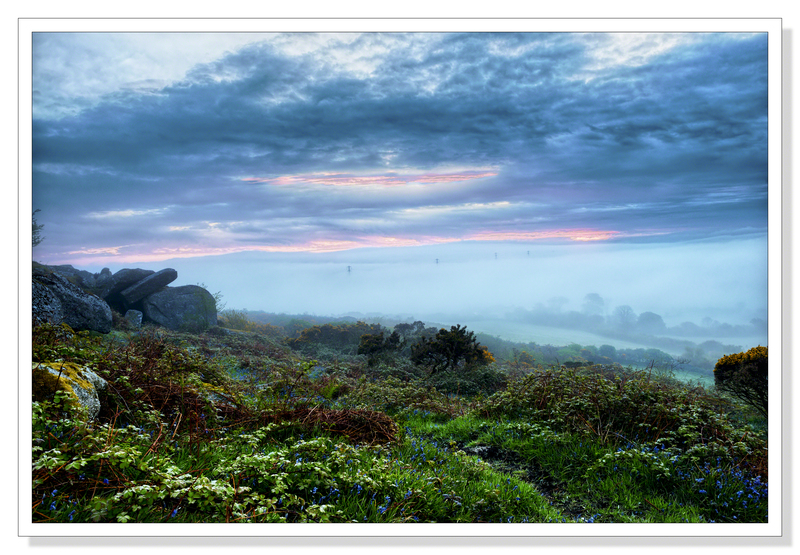 This photo is bright with mist mixed together – very pretty! That is an amazing sky you have captured, Adrian, as well as the colours of the foreground. All incredibly beautiful. Thank you Otto. Much appreciated! At first glance, I thought that it was an underwater scene, had to look twice. Lovely colours. Thanks David. The bluebells add so much to the foreground. I was surprised to see them, thinking they preferred a more sheltered environment. Happy they were there. I love the color in your photographs! Thank you Scott. This moment of clarity only lasted a few minutes before I was enveloped in the cloud myself. It was strange to have the early morning mist without having the usual clear blue sky. This was what I expected when I set out at that daft hour to take the pictures. The 24mm is an exceptional lens and you’re right, definitely my favourite.